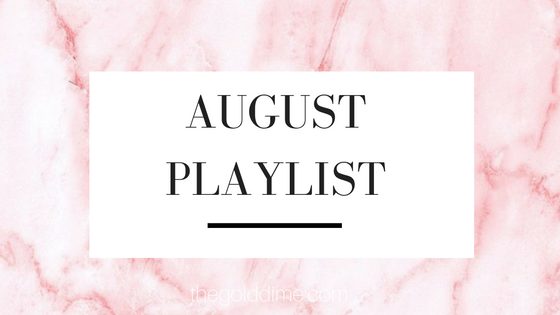 This month's playlist is a bit mainstream with a hint of the J.Crew store playlist. The mainstream is all the J.Biebs + Kanye on this list - can't go wrong with either. J.Crew has been incorporating some great songs into their playlist and I've always loved their hipster, eclectic upbeat music. 'Come Save Me' and 'Party Talk' are perfect examples of ideal J.Crew music. When I heard that two of my favorites, Halsey + Chainsmokers did a song together, I nearly freaked out; it's so dang catchy. At the beginning of the month I strictly only listened to Closer on repeat. I'm going to check some of these out! Thanks for sharing. Great songs! Can't wait to listen. We have very similar playlists! There's a few others on yours I'm excited to listen to as well! !